If you can't afford an expensive speaker system right now, so be it. There's no need to be all disappointed for this. 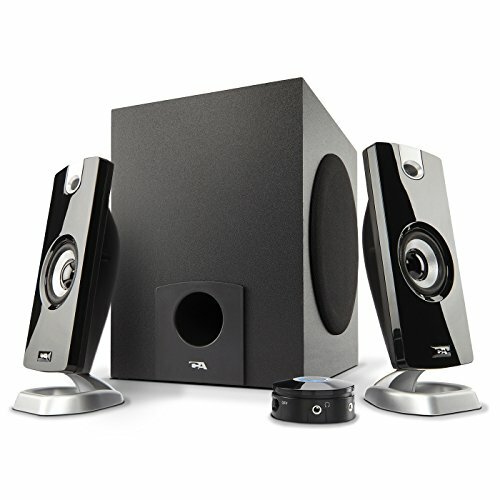 You don't have to keep an account of all your savings or start saving now in order to get an excellent computer speaker system. Because owning a decent speaker is still possible without breaking your savings. For you, there are some really good speakers out there waiting, and they cost not more than fifty bucks. So how about going a little non-expensive? Yes, it may sound surprising, but the combination of quality bass and treble can be bagged only with fifty bucks! The problem is, you gotta dig hard to find that divine combination. Well, here's a good news, you don't need to put that effort anymore because we have done the work for you and made a list of ten best computer speakers under 50. 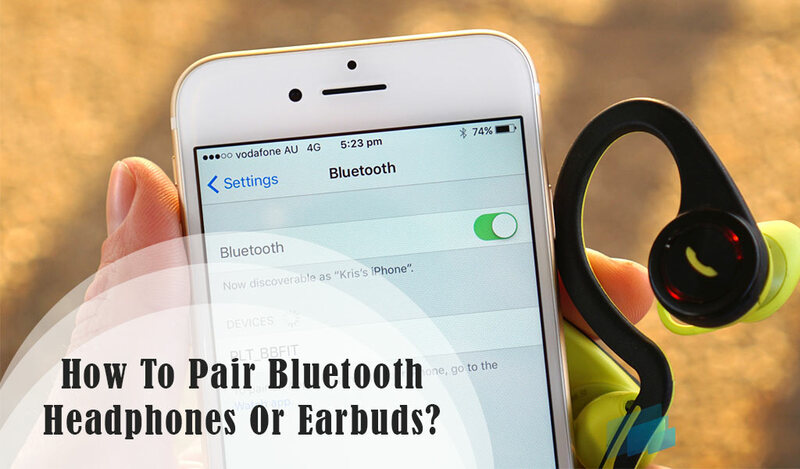 Now you can easily choose your desired one from these options and have a fantastic sound experience without spending much. You're looking for the top quality computer speakers under 50 and this name shouldn't be enlisted as one, yeah, that can't happen. 'Cause Cyber Acoustics (CA-3090) 18W Computer Speaker certainly is one of the quality computer speakers under 50. It's cheap but astonishingly does the job better than many hi-fi speakers out there. Moreover, this speaker comes with its dynamic subwoofer and that's all under 50 bucks! The main attraction is the pair of satellite speakers. These 2-inch drivers with high-quality satellite face offer enthusiastic highs and mids, just as professional as the biggest drivers. You always need some powerful bass in order to get the full taste and that's all have been made possible with Cyber Acoustics (CA-3090) 18W Computer Speakers's four-inch subwoofer. The subwoofer features individual control system for bass tuning convenience. 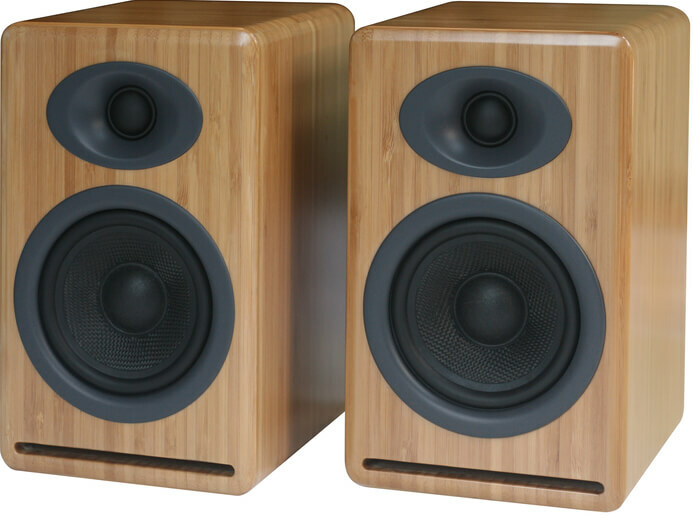 Cyber Acoustics (CA-3090) 18W Computer Speakers works with 18 watts peak / 9 watts RMS power. This speaker comes with its own individual control pod. It includes on/off switch, master volume, a headphone and a AUX input jack. The control pod also features an LED power indicator. In conclusion, Cyber Acoustics (CA-3090) 18W Computer Speaker is offering you stylish flat panel designed speakers with quality stereo standard and powerful bass-providing subwoofer in addition. The set comes with a control pod for direct operation and it is compatible with all computers including laptop, desktop and gaming pc. So when you're getting such a gem under 50 bucks, why not give it a shot? Doesn't require computer system for control. Subwoofer has its own control system. Well, in this case, you don't need to dig anymore because Cyber already has that covered for you with their best speakers under 50. Speaking of which, you might like to consider Cyber Acoustics 2.1 Computer Speaker with Subwoofer as an option because it's Cyber, cheap and gives an amazing performance when linked with a computer. So, what's in the box? For crisp and clear high, it comes with Cyber's magnificent 2-inch CA-3602 satellite drivers, the flat paneled design looks good with all sorts of arrangements. A good speaker's main attraction is always the booming bass. That's why the additional subwoofer is constructed with special care to provide the best wave. 5.25 inch Power Pro subwoofer driver is installed in an acoustically tuned wood cabinet, which helps in eliminating ghastly noise and smoothing the bass. Cyber Acoustics 2.1 Computer Speaker with Subwoofer comes with an individual control pod that includes on/off switch, bass and master volumes. For gadget connectivity, a 3.5 mm AUX input jack and a headphone jack is also included in the pod. The pod uses an LED power indicator ring for operation convenience. The system only takes 30 watts RMS and 62 watts peak power to fill the whole room with quality highs and profound bass. That's been said, if you want the groovy style and awesome performance without emptying your wallet, you should go with Cyber Acoustics 2.1 Computer Speaker. Logitech Speaker System Z323, another name worth mentionable when we're talking about computer speakers under 50. And this system also features its own subwoofer. About the sound, it all says in the description, 'The system features Logitech 360-degree sound technology'. Which means, the loud sound immerses the whole room with clear and catchy rhythm when you give it the control. The satellite drivers come with really loud high pitch for quality audibility. The subwoofer's bass quality is pretty profound. The whole system uses up to 30 watts RMS to provide with quality room-filling sound and deep bass. You can easily connect the system to your computer and consoles. Yeah, you heard it right, the system is compatible with consoles. iPod and DVD player are also some eligible options. Logitech Speaker System Z323 includes a 3.5 mm AUX input jack to connect these gadgets to the system. It also has a headphone jack. Two gadgets can be connected at the same time. The bass, mid and treble can be controlled with the speaker. 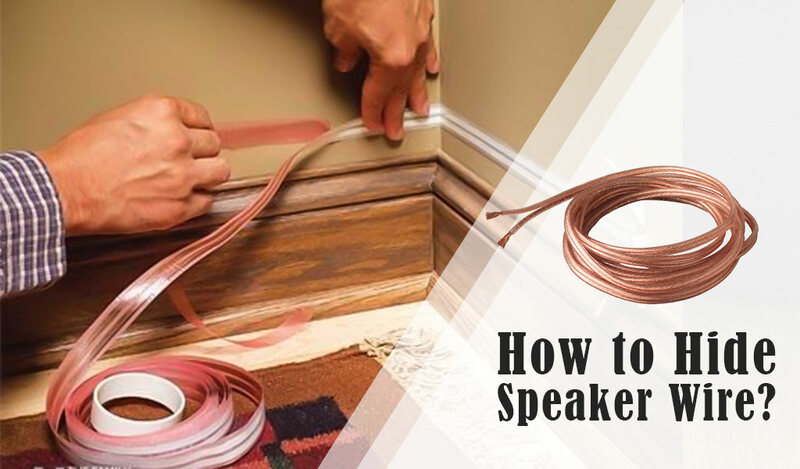 The one-connect speaker system is easy to install and doesn't take much space. 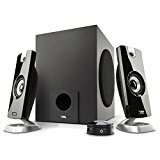 The myth of cheap computer speakers not being good will definitely fade away after using Logitech Speaker System Z323 with subwoofers. Because its easy operation mode and vibrant performance leave no excuse for such concept. Doesn't feature its own sound control. You can bag some good treble and bass with fifty bucks, but you can't bag style with it, boy-whoever thinks like that, hasn't seen anything yet. Because, seems like GOgroove BassPULSE 2.1 Computer Speaker System with Blue LED Glow Lights & Powered Subwoofer was actually marketed to bring the style to you without costing a big fortune. Don't believe me, just watch. So what does it have? Two neodymium full-range satellite speakers! Each of them works with 5 watts of power, which results in crisp and clear treble: just like you asked for. Treble is divine, so is the bass! GOgroove BassPULSE 2.1 Computer Speaker System features side-firing subwoofer that delivers groovy bass with 10-watts power usage. The subwoofer features a bass equalizer which allows you to control the booming wave. Front-loaded volume control is included in the system for your hearing priority. GOgroove BassPULSE 2.1 Computer Speaker System uses peak power of 40 watts and delivers tremendous room-filling sound. Works great with all types of computer. Includes a 3.5 mm AUX jack for audio device and headphone connectivity. And about the style, it's edgy. The design and blue LED glow lights make the system look cool with everything. You can be the owner of the coolest system in your squad, office and dorm once you own it. What's more? The LED accent lights, they pulse when the bass is past 80%! So, not more than 50 bucks, rational peak power and wattage, decent speakers and subwoofer system, compatible with all sorts of computers, standard input jack size and cool illumination-will you still say, it's not an awesome deal? No ghastly noise in standard equalization. Treble can get distorted at the highest volume. Speakers come with a fragile construction. It's a very common myth that perhaps you'll get a compatible speaker system for your computer within 50 bucks, but it won't be as good as a costly big system. Well, obviously there will be some differences between low budget and high budget speakers, but that doesn't mean cheap systems don't have any sort of decent quality. 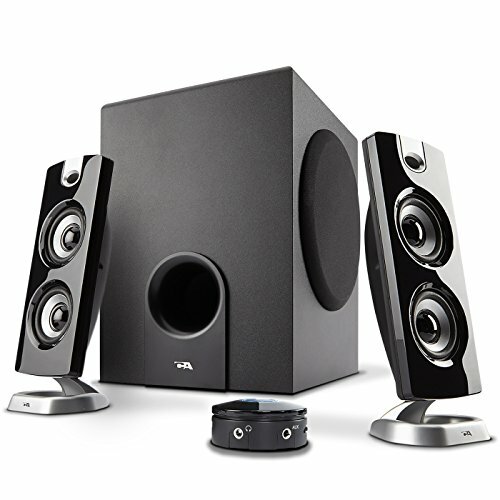 In fact, you can actually bag a good, durable, decent computer speaker system in a really low rate and if you don't believe it, look at Creative A250 2.1 Multimedia Speaker System once. So what is it all about? The system features two standard satellite speakers with modified Image Focusing Plate for delivering clear treble while maintaining a flare for good imaging. Works for sonic directivity as well. 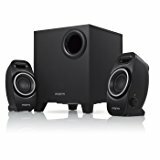 For quality bass, Creative A250 2.1 Multimedia Speaker System come with a subwoofer that includes Dual Slot Enclosure that reduces wave plaining and delivers more detailed bass, keeping the profound rhythm intact. It features an on/off switch and volume control for operation. Easy to install, speakers come with satellite footprint for easy establishment. The package features a Quick Start guide and a Technical Support Booklet for user's convenience. 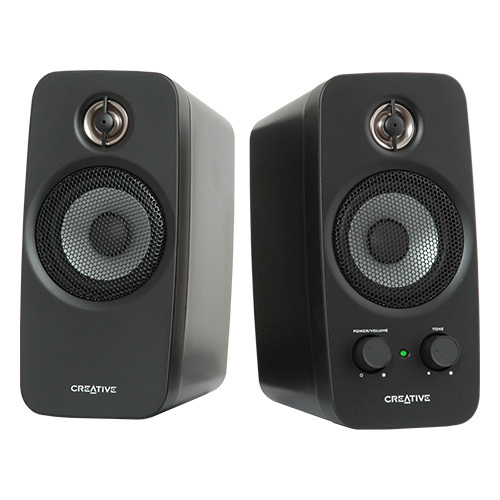 This compact 2.1 CH speaker system is Energy Star certified. Comes with a warranty. Creative A250 2.1 Multimedia Speaker System certainly proves the myth to be wrong of cheap speakers not being good. This system is the proof itself. Speakers can easily stand with the help of satellite footprint. DSE and IFP have been used to boost treble and bass performance. The sound can be distorted at the highest volume. It's a review article about the best computer speakers under 50, so we know our price range. The thing you should be focused on is whether if you're getting the best out of these reviews or not. Well, all of them are good, so we don't have to mention the word individually for Satechi ST-WDS20 Dual Sonic Conical v2.0 Computer Speaker. But do you know what makes it special? Along with decent sound delivery, it's also capable of bringing style to your desktop, room or wherever you're thinking of putting it. Satechi ST-WDS20 Dual Sonic Conical v2.0 Computer speakers use 5W for each driver. With 90 Hz-20 KHz frequency response, these speakers are guaranteed to fill the room with decent, distortion-free stereo sound. Style with durability: The design is already unique and on point, the rubberized matte finish ensures the longevity which enhances the beauty. The speakers are powered by USB connection. Includes an in-line volume control for sound tuning. Compatible with PC and Mac. When you're getting awesome stereo with a good structure and captivating white style, why not consider Satechi ST-WDS20 Dual Sonic Conical v2.0 Computer speakers a buying option? We're talking about computer speakers here, so basically the picture you have in your mind is something like this: Two small satellite drivers and if possible, a subwoofer perhaps. But how would you feel to have some classic speaker vibe under this category? Sounds impossible? Well, it's not, because this is what Genius Hi-Fi Wood Speaker for Computers (SP-HF500A) is exactly offering! 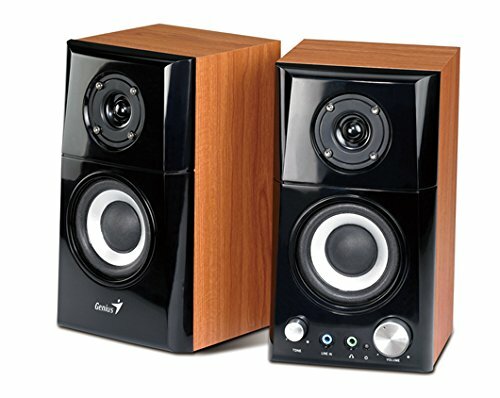 Genius Hi-Fi Wood Speaker for Computers (SP-HF500A) are actually a set of two two-way wood speakers. These drivers are framed with black burnished panel which enhances their classic beauty. The tweeter and subwoofer are combined in the system. The installed tweeter takes care of clear and smooth treble while the 3 inch speaker driver delivers groovy bass for your satisfaction. Big control panel is included for volume and power management. For the user's desire fulfillment, the system features a tone button. You can adjust the sound's melody per your desire. You can connect the driver with another audio system with its featured in-line jack while it's still connected with PC. Includes a headphone jack as well. Genius Hi-Fi Wood Speaker for Computers (SP-HF500A) offers everything you need for a good treble and bass, and it does that in the classic style - that's actually a pretty good deal, don't you think? Tweeter and subwoofer are combined in a single driver. 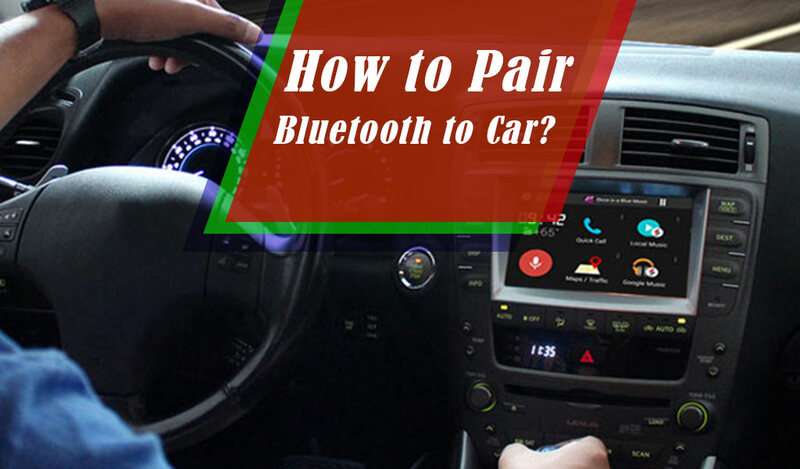 You can connect the driver to two devices at once. 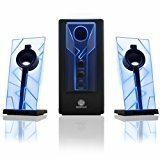 When we're talking about the best computer speakers under 50, Logitech Multimedia Speakers Z213 definitely has to be mentioned. Because it may not cost much, but the feature it holds, definitely make this system a gem. Logitech Multimedia Speakers Z213 use 14W peak power and 7W RMS for the whole sound distribution task, which results in room-filling tremendous audio. The satellite speakers are inclined to a specific angle to deliver sound directly to your ears. It's constructed for distortion-free smooth treble. The subwoofer with 4-inch driver delivers the profound bass you wished for. It has a bass control knob at the back, you can adjust the bass volume and tone with that. Logitech Multimedia Speakers Z213 features a wired control pod. This pod includes an on/off switch and volume control for operation requirement. It also features a headphone jack so you can directly connect your headphone to the system. The system is compatible with PC, Mac, gaming console, smartphone, tablet and mp3 player. An integrated 3.5 mm jack is featured for device connectivity. The speakers fit easily into any space. 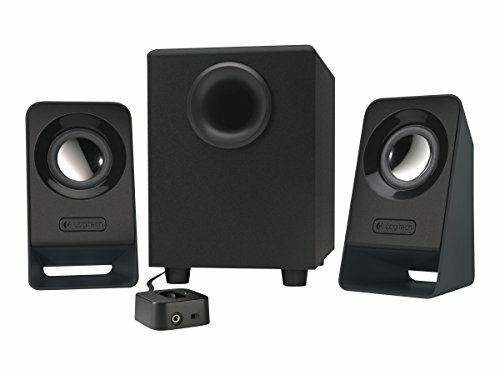 Let it be a smooth treble, booming bass, convenient control or compatibility: Logitech Multimedia Speakers Z213 has it all to be claimed as a standard computer speaker system. So, I don't think it'll be a disappointing deal. Direct treble without any blockage. Compatible with all common audio devices. The in-laid tweeter can block the bass sometimes. Less powerful bass than other Logitech speakers. So, here's the deal. Good bass, smooth and clear treble, all over detailed sound, decent audibility in two-way system and style-all under 50 bucks. I know it's an offer you don't wanna refuse, so here we present you Creative Inspire T10 2.0 Multimedia Speaker System with BasXPort Technology. What's in the system? While most brands are focused on the wave, Creative's manufacturers have concentrated more on the detailed notes. From deep sound to sharp instrumental of strings: it delivers the frequency of every single note clearly, which provides with an excellent movie watching and gaming experience. It doesn't feature a subwoofer. The driver is engineered with BasXPort Technology to channel bass and it does that with a deep range which results in your desired bass and low mid-range. Creative Inspire T10 2.0 Multimedia Speaker System features AUX input jack for connecting random audio devices and a headphone jack. The speakers are durable. 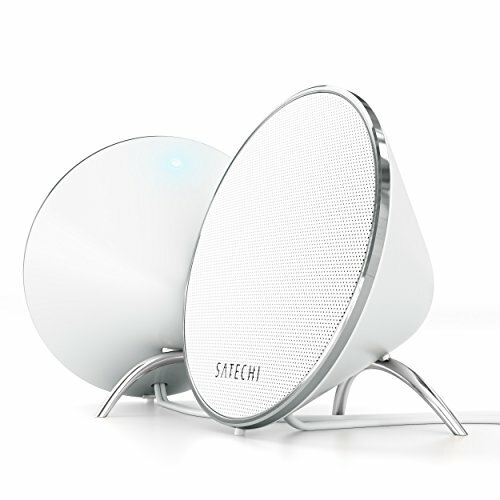 They come with a slanted front and glossy finish which depicts a new revolutionary style for computer speakers. That's been said, Creative Inspire T10 2.0 Multimedia Speaker System with BasXPort Technology is a complete package of divine performance and artistic style, a combination that only a few computer speakers hold for a low budget. Doesn't require an extra equipment for bass. Need extra care for longevity. Some gadgets may not be compatible. You can already assume its uniqueness from the name. Yes, Sengu Bamboo Wooden Design Audio Mini Speaker is constructed with Bamboo frame, which is significant in its own sense. Let's talk about the sound first since this is the primary requirement. Sengu Bamboo Wooden Design Audio Mini Speaker uses Double Bass Technology to deliver a profound bass sound. Instead of using separate drivers for treble and bass, manufacturers have included the tweeter and woofer in one speaker. The tweeter are placed in the front and woofer are on the sides, which enables the sound to surround the whole environment by delivering crisp treble and deep bass at all corner equally at the same time. The bamboo structure plays an important role in sound delivery. It distributes the frequencies differently than plastic or metal structure, and we mean it in the good way. The sound is more natural with wooden panel. 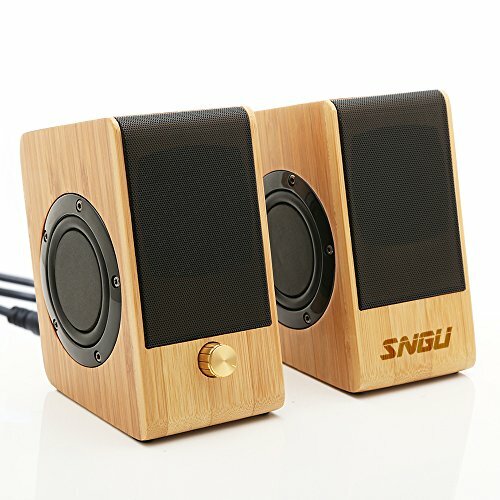 Sengu Bamboo Wooden Design Audio Mini Speaker features a 3.5 mm AUX input jack for connecting PC and other random audio devices. USB connection is used for powering the system. Included volume control can be used for turning the system on or putting it on a standby. For an ambient groovy sound experience, Sengu Bamboo Wooden Design Audio Mini Speaker is definitely a smart choice. Doesn't require an extra subwoofer for bass. The system needs extra care for its bamboo structure since it can be damaged from any unfortunate circumstance. Mechanism: When we're saying mechanism, a lot of things are included here. Firstly, the wattage. What is the peak power and RMS watt of a particular system? You must know the wattage because it tells a lot about the sound distributing capacity: how loud, crisp and major it can get. How are the drivers installed? This depicts the highs, mids and low range delivery capacity of the speaker. So in order to know if you're gonna get your desired frequency or not, knowing the mechanism is important. The Controls: By controls, I mean the powering system and the options provided for certain operations. The speaker must feature a convenient control system that will allow the user to have a good dominance over the system. Make sure that the on/off switch, volume control and tuning knobs (if the knob is available) are on point. Compatibility: Since you're choosing a computer speaker, there's no doubt that it'll be suitable for a computer. 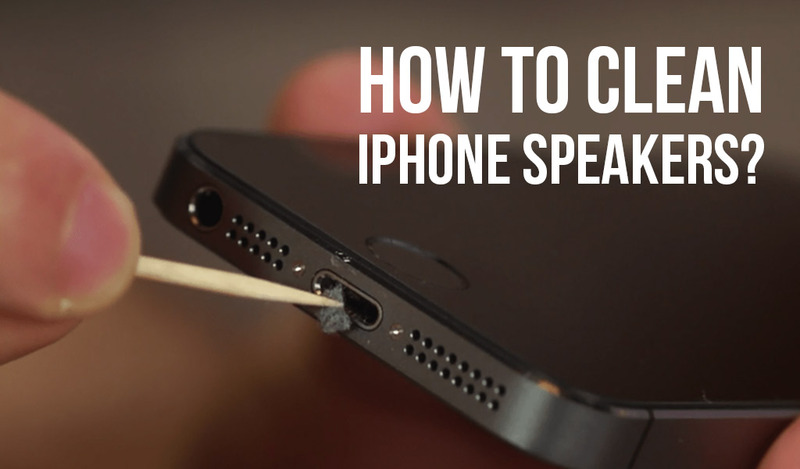 However, the fact can work differently for different types of speakers. Some speakers only connect with PC, some are specially made for MAC computer and some are not compatible with certain devices. So check the speaker's compatibility before buying it. Will it work with your computer? Sometimes we also intend to use our computer speakers with other audio enabled devices. So, you better check that out too. The Construction: The speaker's durability depends on the construction, so it's actually an important fact. Check the materials that have been used in the production. The compact quality depends mostly on the manufactured materials. And also inspect the shape, corner and finishing for the best image. Setup: The speakers can be constructed differently with different setup method, so you should check the setup to see if the method meets your convenience or not. It's not certain that you'll remain in one place forever. You may have to move somewhere else for a reason. Sometimes we also have to take our gadgets places for special purposes. So you better check out a speaker's portability or adaptive nature. It's better to go with a system which you'll be able to move when you need. Is that what you want always? I know, the answer is negative. We sometimes want our whole room to be flooded with sound waves, but that's just sometimes. When you're doing some important work, having a headache or watching VSAUCE on YouTube, there's no point of filling the whole room with vibrant frequency. 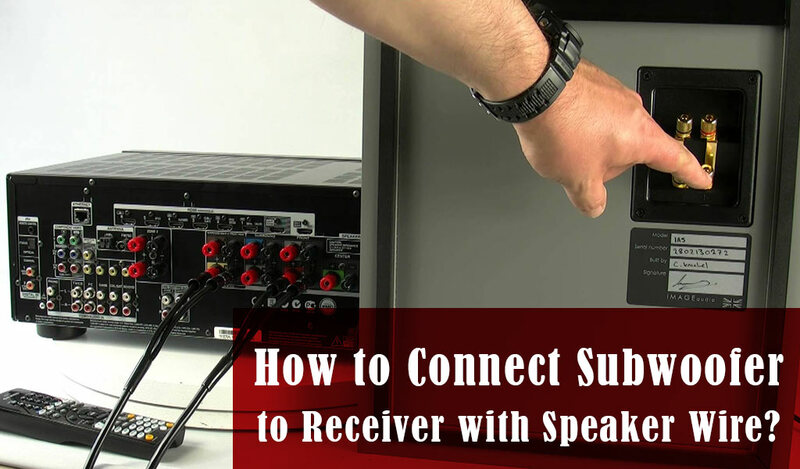 That's why the speaker must have a sound adjustment which will allow you to adjust the frequency per your demand. You already know how powerful this is. We get to know about the computer speaker's features when we look at its description, but the features aren't enough to describe the whole item's potentiality. You get to judge it from the user reviews. Surely, since you haven't used the product, you can't tell how it's gonna be. But you get a good idea about the product from the customer review. Their opinion will help to define whether the speaker will be good for you or not. 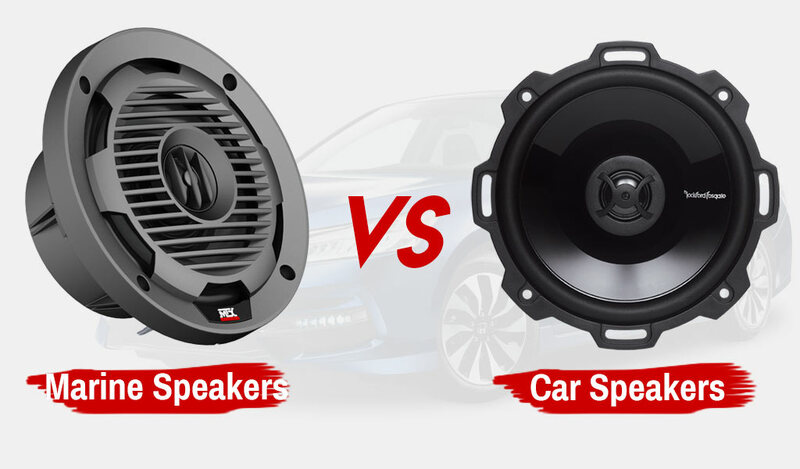 Though online shopping doesn't leave much of an option for testing stuff before purchasing, it's wise to test a certain speaker before buying to have a clear idea about its performance. Yes, a smart step for online shopping. Look for a return policy if feasible. In online shopping, the incident of receiving a faulty item occurs often. If the shop has a return policy, you'll be able to replace your faulty speaker with a good one. The system is bound to include its own control options which can be seen in every model, but what makes the experience much better is the computer connection. You don't have to completely rely on the speaker's buttons, knobs or control device in order to operate it. You can also do it through computer functions. The system can be controlled with computer instructions. 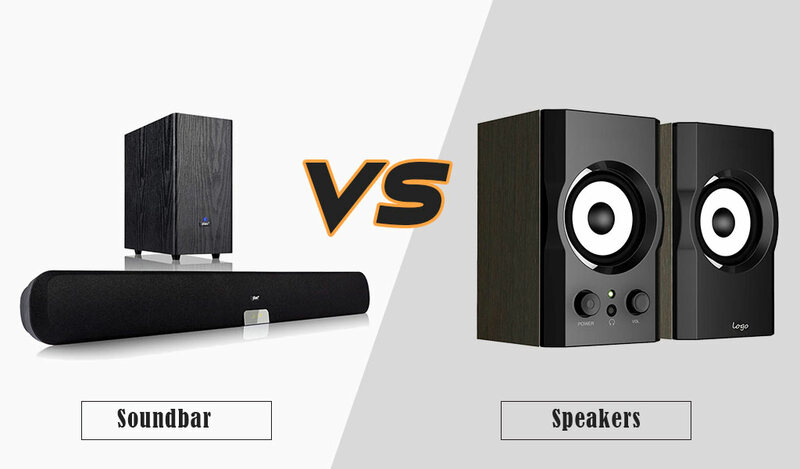 Though the computer speaker is actually made to use with a computer, the most speakers are compatible with other devices as well. There are lots of computer speakers that are being frequently used with smartphones, tablets, mp3 players and gaming console. These speakers also feature a headphone jack for private listening. Actual sound systems are pretty big and take a lot of space. But to use it with a computer and to place near it, computer speakers are made small. These speakers don't take much space. Computer speakers include variable options to get the best out of it. They have volume and frequency adjusting controls to vary the sound. You can flood the whole room with sound or choose to have a decent volume of work. Your preference will always match other people's preferences: this isn't the truth often. The sound delivered by your computer speaker can become the reason for other people's inconvenience. Sometimes the sound of computer speaker doesn't come out spontaneously and is pretty ghastly. It can be irritating for the people around you. Computer speakers get damaged pretty easily. It's a common phenomenon for the most houses: they have to switch to three or four different speaker models in one year. Why? Because the speaker was foiled just after a short period. Computer speakers are often like that. They can be damaged pretty quick. Just like computer itself, computer speakers catch dust pretty easily. Well, you can blame the magnet attraction for that, but this explanation doesn't help. Magnetic field is required in order to produce sound. The thing is, the speaker will get filthy very fast and quick, so you'll have to dust it more and more in order to keep it clean. The computer speaker is like a sneak peak of the full show. In fact, it's a mini version of an actual speaker system. So, you can't expect it to have all the things needed to set a full speaker system. There will be some deficiency in the performance and you have to deal with it. Generally 'The budget' is not the first thing we put in our checklist when we're trying to set up a guideline for shopping. Obviously, it matters, but this is not the top priority always since there are often other important facts that need to be focused on first. However, this rule is not applicable here. Why? Because this time the budget depicts our further shopping actions. 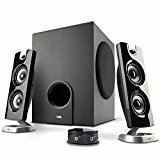 This guideline is only made for them, who are looking for a decent computer speaker system under fifty bucks and that's what matters the most. A computer speaker system under fifty dollars. Yes, set your priority right. 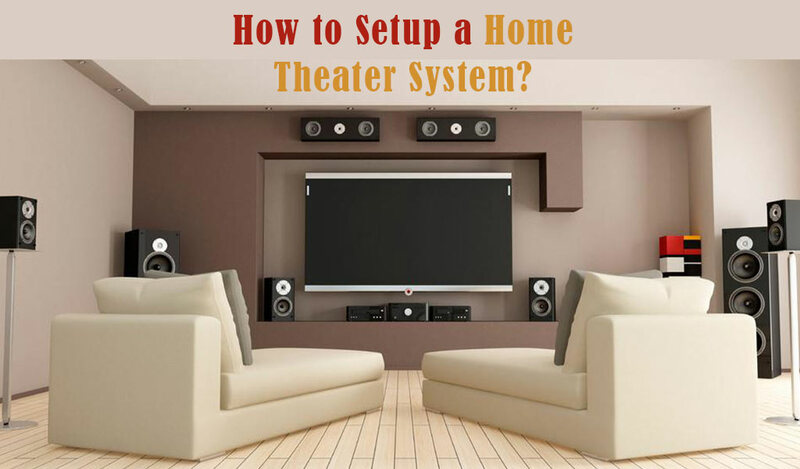 Looking for a good system within fifty bucks? Alrighty then, fifty bucks it is. Now, your budget is only fifty dimes, not a cent more. So it's time to look for the best computer speaker that fits your target. And don't worry, your budget is actually capable of a pleasant deal. There are different qualities existing in the market. Fifty dollars' speaker are here, hundred dollars' speaker are available and a few speakers cost several hundred bucks as well. For a fact, those prices aren't set randomly just like that. The materials, the structure and the features vary in different computer speakers and measuring all those attributes, different values are fixed. That's where we have to highlight on our expectation. You can surely hope for an excellent setup within fifty bucks, but your expectation has to be rational. You can't hope for few hundred bucks worth features in cheap speakers. If you do, surely you're gonna be disappointed. Wait, that doesn't mean, you can only hope for crap in your budget. The main attribute of a speaker system is its sound arrangement: How well it's doing with the treble, mid and bass performance. And there are a lot of cheap speakers out there that come with a decent tweeter and woofer arrangement. Since you looked up the term 'Computer Speaker', it's assuring that you're gonna use the speaker with your computer and that brings us to this point: A person can do a lot of things with their computers and what's the purpose of your need? The computer speaker can be needed for the following stuff: watching shows, movies and keeping up with the sports commentary, listening to music or any certain command, or just for playing games. However, different types of frequencies are required for convenience in different tasks. So, it'll be better if you fix the target: why do you need the sound? When you've fixed the target it'll be easier for you to sort the specs. Yes, we mean brands. Though sometimes company name doesn't matter because it creates discrimination against quality products of least known companies. So we'll recommend you to go with individual speaker system's quality rather than focusing on the manufacturing company. However, if you still feel less comfortable and a name recommendation will be helpful for you, then so be it. 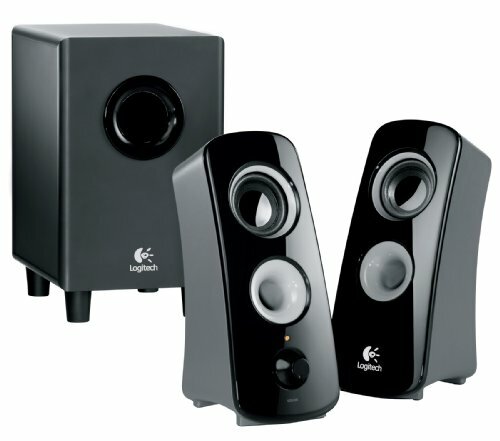 Logitech is currently pretty popular for providing quality bass at a cheap price, so you can look forward to their speakers. 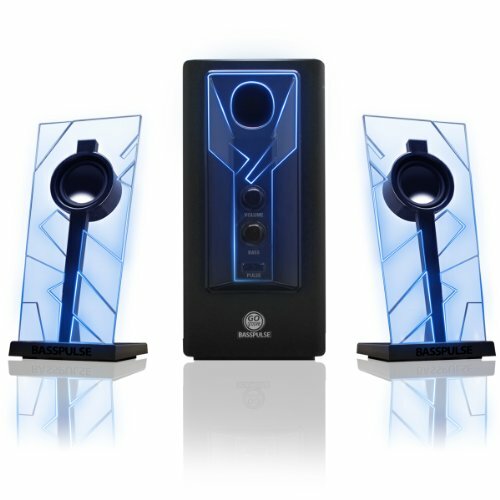 Cyber is also quite good, they have a few best-selling computer speakers, you can easily rely on them for a beneficial result. JBL is a quite popular name in the speaker market, but you gotta boost up the budget for the best JBL product, so it's better not to go that way. You will have two options under fifty bucks. There are some speaker systems that only feature two speakers for the purpose, nothing else. And then there are few other speakers that come with a subwoofer. When we're looking for loud music, our main priority is always the groundbreaking wave aka deep bass, or that's what most listeners want. The subwoofer is made for this. It takes the bass from the whole audio file and distributes it separately for the complete feel. For this reason, some systems include a subwoofer. The system without a subwoofer is constructed following a different method. In these drivers, tweeter and woofer are installed under one single frame. The tweeter delivers the highs and mids, while the woofer takes care of the low; so the system doesn't require a separate arrangement for bass. So these are the two types of drivers that are available in the market. The choice is yours. We already mentioned the importance of budget above. It's pretty obvious that this budget affects the speaker's quality in several aspects. You know there are different options available for you within this budget, but it's better if you know which one will be the right choice. Basically, the speaker that comes with two satellite drivers only, delivers better performance than the one with an additional subwoofer. An additional subwoofer is never a bad option, but the group of three is a lot in the plate when you're dragging it under fifty bucks. Obviously, there will be some compromise. As we said earlier, your expectation can't be too high. You'll get what you pay for. Mechanism of speakers and a subwoofer is a lot more complicated than just two speakers. So, you can understand what you're dealing with here. The bass is supposedly less energetic in these subwoofers, so it'll be wise if you go with two speakers only. However, the situation can be different for some speaker systems. 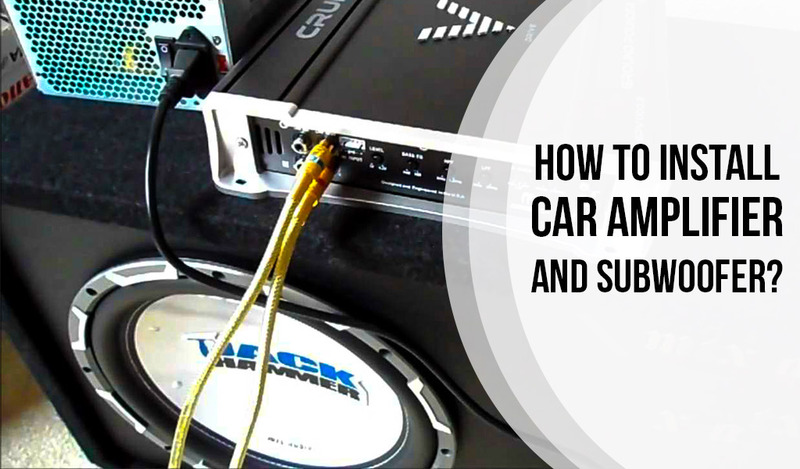 There are actually a few systems out there that include a decent bass providing subwoofer. 1. How does the RMS or peak power wattage affect the sound? Ans. The supply of frequency depends on the wattage. The ability increases with the wattage growth. 2. What is the purpose of a subwoofer? Ans. It separates the bass from the sound and enhances its depth. 3. What features should be present in a computer speaker? Ans. The setup, the drivers, controls and connectivity features. 4. Is the computer speaker always wired? Ans. No. Sometimes it's wired, sometimes it works wirelessly. Depends on the speaker's construction. Complete preparation is always required when you're purchasing something online. It's a huge market and in order to win the best deal, you should be ready with your best armor. That's why we put up with some speaker reviews, buying guidelines and other important its and bits of knowledge you'll need for a speaker purchase. We hope these are enough for the best computer speaker shopping experience.